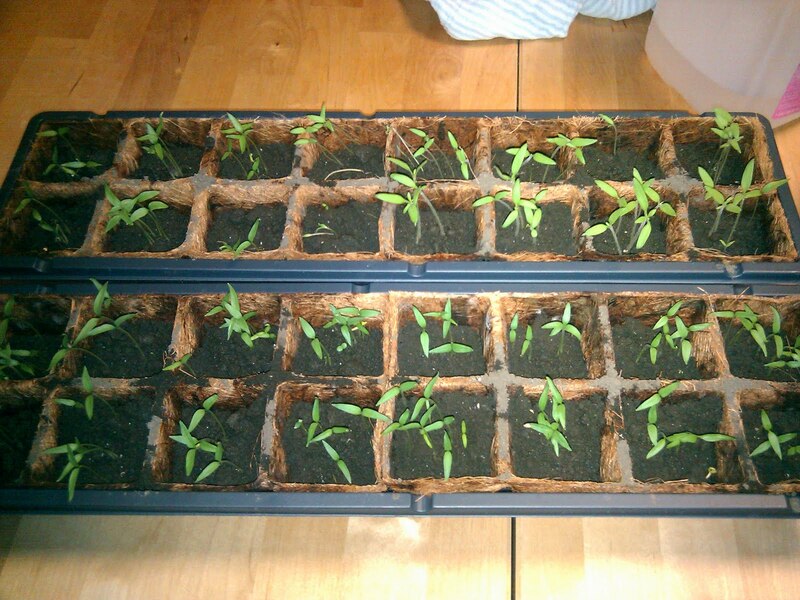 The good news: they are almost ready to plant outside. The bad news: we started putting more tile down in the sun room and I didn't label which side was tomatoes or peppers or anything. So I have no idea which is where because the containers were moved around more than a few times.